 The Map Pilot app helps you create and fly the optimal flight path to create great maps using the Maps Made Easy map processing service. Creating high resolution aerial maps with your DJI flying camera is just a few clicks away. Mapping has never been easier. Define the area, select the level of detail, and go. Automated drone flight is complicated. Mapping is complicated.  Good thing we at Drones Made Easy and Maps Made Easy have picked best-in-class hardware and matched it up with our industry leading cloud platform to create the Internet's only one stop shop for drone mapping. Before Map Pilot's release, the biggest problem with our Maps Made Easy platform was the fact that proper data collection was still really hard. With the release of DJI's SDK which enables 3rd party application development we jumped at the opportunity to take control and help people collect their data properly without having to give a math lesson every time. There are a lot of different considerations that come into play when planning and executing a successful automated flight. Map Pilot attempts to do as much of the computation heavy lifting as possible so you can worry about the on-site issues and not worry about the tech. Map Pilot for iOS helps the user in three of the most problematic areas of drone mapping: Flight Planning, Mission Management and the actual Mission Flight itself. The most important factor in the quality of an aerial map is whether or not there is sufficient overlap to get the information you want out of the images. Proper overlap collection requires knowledge of the camera's sensor geometry, still framing capability, optical configuration, intended flight speed and intended flight altitude above the ground. Getting your imaging and pass distances properly spaced is one thing, but if a user wants to collect data over an area that is larger than can be done with one battery more planning and knowledge is required. Map Pilot turns this whole process into an easy to use process where the user simply defines the area to survey, selects a flight altitude and hits go. Map Pilot handles the rest. One of the most useful features of being able to create high resolution maps on models on-demand is the ability to do it on a repeated basis to document the passage of time and change to an area. Maps Made Easy allows users to create a Location Map which makes it so you can easily stack these layers in a desired order. Map Pilot's Mission Management makes it easy to collect the same data every time so you have a well aligned data set to tell your survey area's chronological story. The Save Mission feature packs up the currently defined Flight Plan and a version of the basemap that is available offline for field operation in remote locations or for devices without 4G data connections. No more getting to the location and hoping that Apple Maps is still cached up. Before even taking off the Map Pilot app is there to help the user make sure they have the basics covered. SD card? Check. Enough battery? Check. Enough storage? Check. Enough Satellites? Check. Ready for Takeoff! Map Pilot monitors the speed of the aircraft and adjusts the triggering to account for the presence of wind. The directional indicator helps keep the pilot in visual contact with the aircraft while maximizing signal strength. When the battery starts to run low, the user's battery timer runs out, or the aircraft is commanded home, the point of abandonment is recorded and the aircraft will pick right back up where it left off. From automated takeoff to automated landing, Map Pilot quickly and optimally guides your aircraft along the prescribed route while taking the highest quality data available. Mapbox and Open Street Maps for cached map data. will the Map Pilot app support the Mavic Air in a near future? terrain adjusted waypoints?" what is wrong with the token? Can an L shaped mission be planned and the aircraft be directed to NOT fly over anywhere but the mission site? I get rectangular missions generated that fly over areas I am not allowed to. Please advise. P.S. are there any Fully Comprehensive tutorials or instructions that go through every feature of the Map Pilot app? I can't seem to find a series of videos explaining each element. Do they even exist?